The second of this mini-series of blog posts on cycling injuries with Charlotte Mead, resident Osteopath with New Body Osteopathy, and Bespoke's Head of bike Fitting, Ben Hallam focuses on low back pain, how you get it, how to fix it, and how to stop it coming back. Ben and Charlotte both feel that with any pain arising from cycling, the body and the bike must be adjusted simultaneously to clear the injury and prevent its recurrence. Although a low impact sport, and often the recommended exercise to people with low back pain, cycling can aggravate the low back more common than you think. When Norwegian scientists investigated 116 professional road cyclists and looked at the types of overuse injuries suffered over the previous year, some startling facts emerged: 94 per cent of the cyclists had suffered an overuse injury during that period. Of these, 45 per cent were to the lower back with only 23 per cent to the knees; 58 per cent of all the cyclists had experienced lower-back pain in the previous 12 months. So why does this happen? "A bike fit needs to be a balancing act between efficiency and sustainability" says Ben. "While a lower, longer position creates less drag, it also puts a greater load on the muscles of the lower back and core. Therefore the front end position needs to be appropriate for 1) your strength, flexibility and core endurance and 2) the duration that you'll be riding for. A long-distance position needs to sacrifice some aerodynamic efficiency to be able to sustain power output comfortably for the whole ride. A crit racing position can be lower and more aggressive as you only need to sustain it for an hour. Your position should evolve though. As you gain flexibility and strength through treatment and training, the position you can sustain can evolve lower and longer to be more aerodynamically efficient." "The saddle is also a crucially important element relating to back pain. If a saddle is too narrow and not supporting you correctly, your pelvis is free to rotate increasing the loading of the structures of the lower back and creating premature muscle fatigue." Correct bike set-up is crucial for back health, but in the study on elite cyclists above, they were supervised by national coaches with access to advanced facilities, so incorrect bike fit wouldn't have been a factor. What else could be going on? A recent study showed the more tired cyclists became in their legs, the worse their spinal posture became as they flexed forward and started to splay their knees to recruit other muscle groups to help meet the demand on the legs. Another study examined the effects of holding a static bent-forward (flexion) position on the all-important back extensor muscles that help maintain correct posture and stability in the lower back. It concluded that after prolonged periods of static flexion these muscles became less effective at generating the forces required to maintain spinal stability and posture. This is where an osteopath comes into play. Charlotte would examine your spinal range of movement segment by segment to ensure the spinal column was job-sharing appropriately. She might use manipulation or mobilisation techniques to optimise this job-sharing and unload over-burdened areas in the spine. She would also assess your muscular strength both in the spine and legs and advise additional rehabilitation exercises and stretches as appropriate. She would also take into consideration your previous history - a previous disc injury or major episode of low back pain can leave a legacy - whether that be anatomical changes, or a "tissue memory" of the pain, these issues can be minimised or ironed out with osteopathic treatment. Cycling is often thought of as a leg-based exercise. While the primary moving joints are the hips, knees, and ankles - driven by the prime muscles: quadriceps, gluteals, and calves - the upper body is also engaged. There is a pulling motion on the same side arm as the descending leg. The ascending leg requires engagement of the hip flexor muscles to reduce the downward force on the ascending pedal. 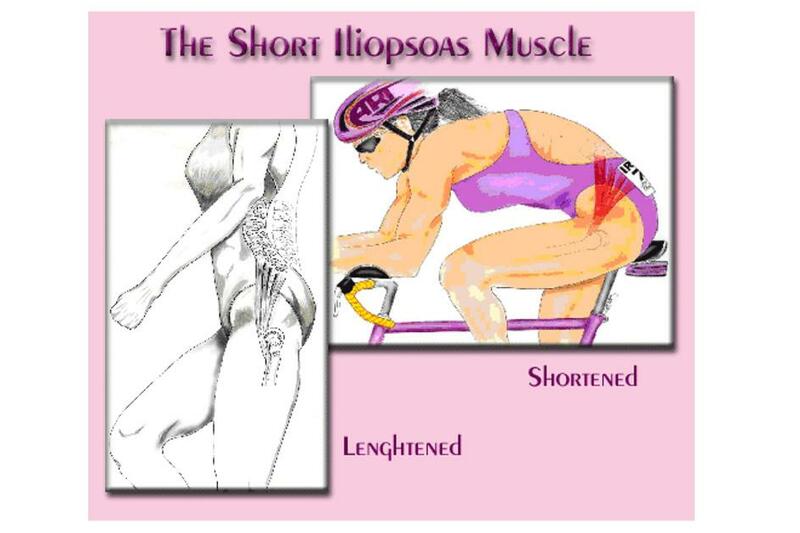 One of these hip flexor muscles (iliopsoas) is also connected to the lower back. 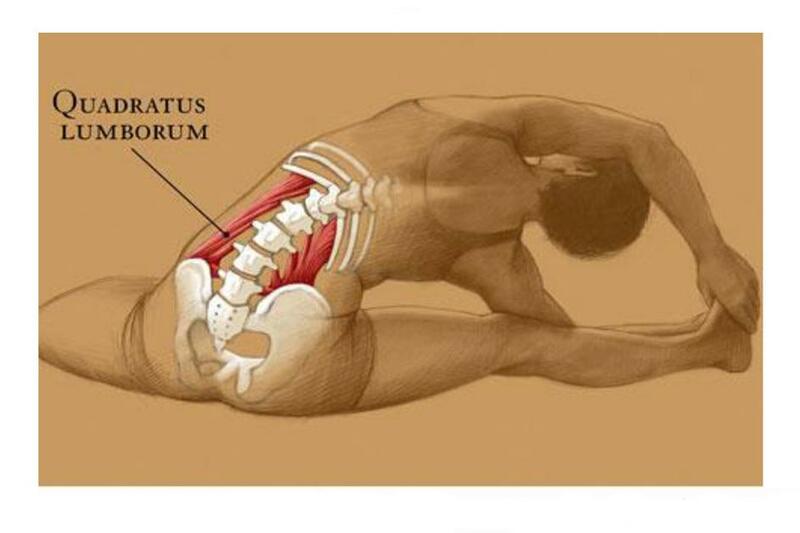 To stabilize the hips, 2 main low back muscles, the obliques and quadratus lumborum (QL) are used. They need to engage on the side of the ascending leg to reduce hip tilting and stabilize the lower back. If you are cycling with hips tilting to one side, or tilting side to side, it's likely that these muscles are not engaging fully or have become fatigued. condition and keeping the low back flexible can help prevent this type of pain and improve your performance. For more information or advice on any symptoms you may have call 0207 177 0207 or visit www.newbodyosteo.com . To book your Bike Fit call Bespoke Cycling on 0207 7961263 today.